BANASKANTHA :- VIKALP CAMP BABAT LATEST PARIPATRA 27-05-2016. 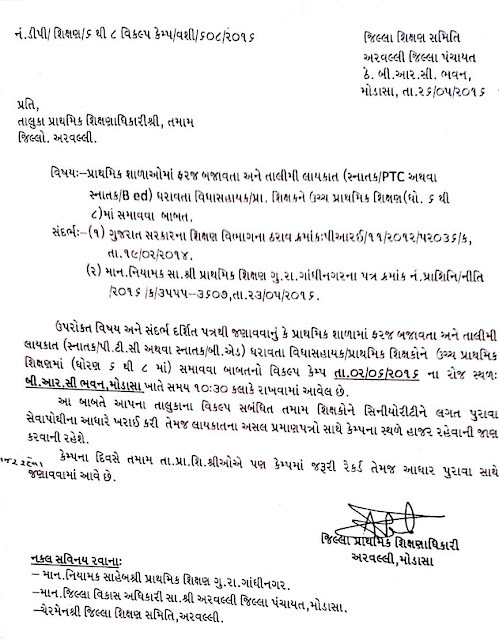 ARAVALLI :- VIKALP CAMP BABAT LATEST PARIPATRA 26-05-2016. CHHOTAUDEPUR :- VIKALP CAMP BABAT LATEST PARIPATRA 26-05-2016. 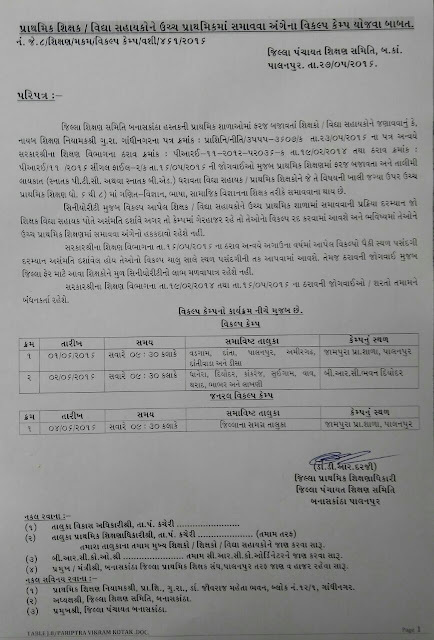 Bhakt Kavi Narsinh Maheta University Junagadh B.ed Entrance Exam Merrit List Declared. 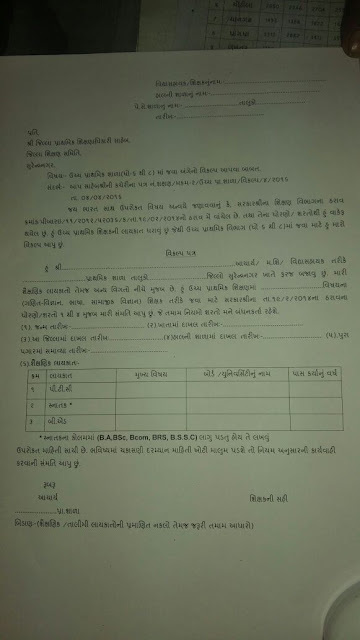 Bhakt Kavi Narsinh Maheta University Junagadh Has Published B.ed Entrance Exam Merrit List.Please Check Your Merrit List Click Below Link. 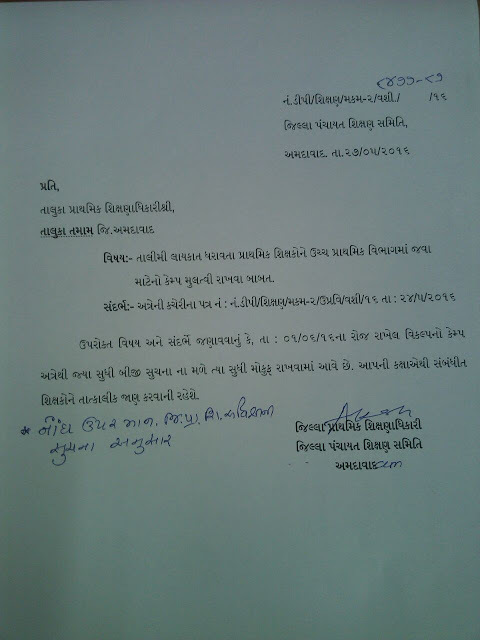 SURENDRANAGAR :- VIKALP CAMP BABAT LATEST PARIPATRA. 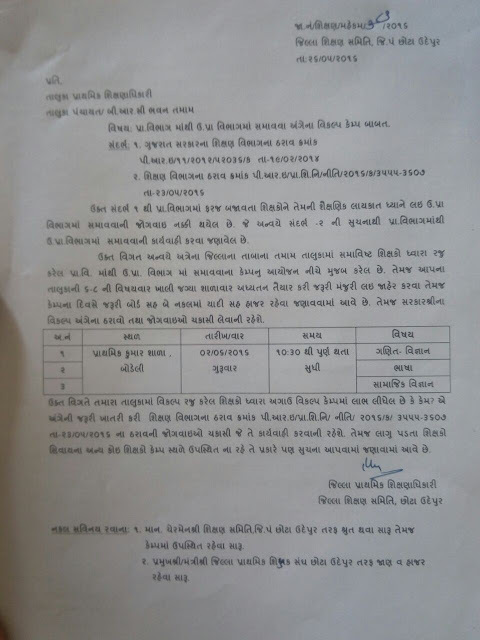 AHMEDABAD :- VIKALP CAMP HAL PURTO MOKUF RAKHVA BABAT LATEST PARIPATRA.